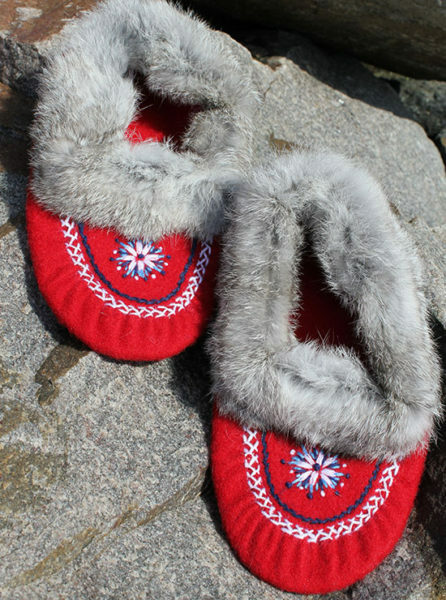 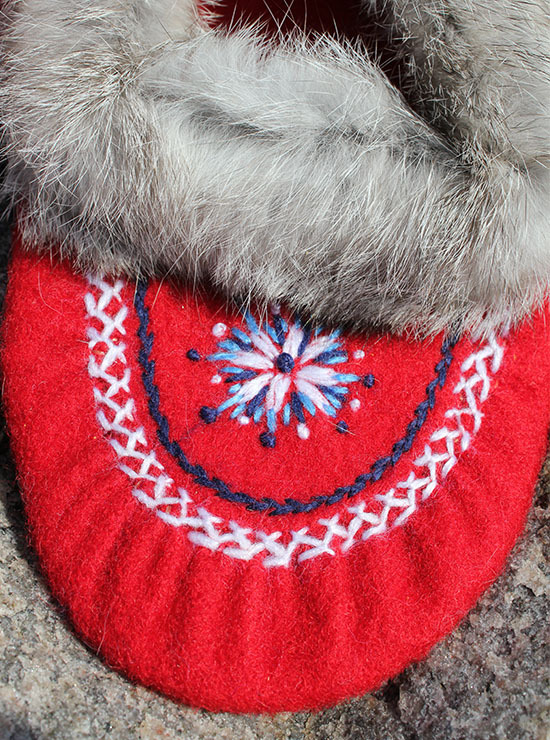 These wool duffle moccasins are crafted in Labrador by Inuit artisans. 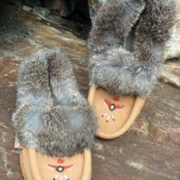 This pair features striking blue and white embroidery and rabbit fur trim. 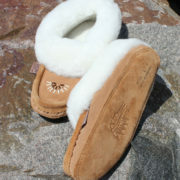 They fit Ladies Size 6 only. 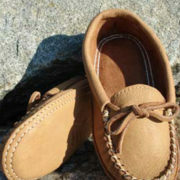 Order your true shoe size for the best fit.